It wasn’t so much of a prayer being answered as it was a positive conclusion as an eagerly awaited and long anticipated new well drilling truck arrived in Djibouti May 1st to be used by the 1132nd Engineer Detachment. The North Carolina Army unit, working as part of the Combined Joint Task Force Horn of Africa, accepted the rig and performed pre-maintenance checks on actual testing to identify any mechanical problems with the system and prepare the equipment for the difficult conditions it will face in Djibouti. In the past, well drilling equipment took a long time to set-up and, because of the thick geological structure of the rock formations in Djibouti, the equipment was subjected to heavy maintenance problems. These problems delayed the creation of much needed wells because repair parts had to be ordered from the United States. The capabilities and composition of the new equipment is very impressive, according to members of the detachment. The new rig travels with two large trucks to support water and filtration during operations; 80,000 pounds of pressure can be exerted, and the drill can reach depths of more than 2,000 feet. It’s capable of using a six or twelve inch roller cone blue steel drill bit that’s designed to drill through the toughest geological formations in Djibouti. 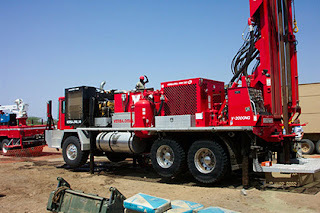 The new drilling truck is manufactured by the Laibe Corporation, located in Indianapolis, Ind. Previously, the equipment used by the 1132nd took about a week just for set-up before drilling could begin. The new drilling equipment can be set-up and drilling can commence at a site within one day. To drill one hundred feet with the old drilling rig would take considerable amount of time based on soil composition. With the new drilling rig however, one hundred feet can be drilled within five hours even in the toughest Djiboutian soil, increasing the number of wells that can be drilled at locations throughout Djibouti. Find a need and drill for it. One way to win hearts and minds of the population with which you are working. The hospital ship USNS Comfort leaves its Baltimore home today without the usual war or natural disaster on its itinerary, but preparing nonetheless for one of the busiest and most complicated missions of its 20-year service in the U.S. Navy. Instead of rushing to a crisis, as it did in New Orleans and the Persian Gulf on recent deployments, the ship is beginning a carefully choreographed 120-day tour of Central and South America that will take it to 12 countries with varying medical and humanitarian needs. 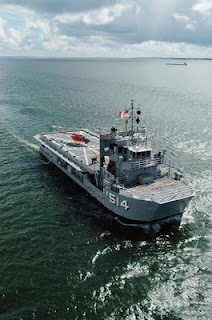 First announced by President Bush during a visit to Latin America in March, the mission is as much about diplomacy as medicine and has caused the ship and the Navy to recast the vessel's fundamental function. 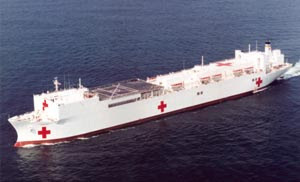 Whereas past deployments called for crewing and equipping the Comfort as a floating emergency room for treating war casualties or disaster victims, the ship's commanders have essentially scrapped the old rulebook and outfitted the vessel as a delivery vehicle for routine medical services on land, from vaccinations and eyeglass distribution to dental checkups and minor surgeries. "I think I'm working harder for this deployment than I did when I was operations officer for an aircraft carrier battle group," said U.S. Navy Capt. Robert E. Kapcio, who is leading the ship's deployment. "Really, it's just a huge, huge undertaking." Kapcio has been designated as the mission's commodore - another new concept, added to give the ship an additional layer of administrative support to deal with all the foreign governments, local humanitarian organizations and volunteers involved. The ship plans to visit each country for about a week, establishing two medical treatment centers at each port. Planners from the Navy and the State Department have been meeting at each of the host nations to determine where the ship might stop and what services it can offer, sometimes in cooperation with non-government organizations with permanent operations there. 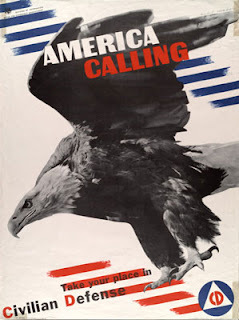 A Foreign Relations Discussion: "What Role Should the U.S. Play in Somalia?" With the process of political reconciliation yet to begin and with the prospect of a viable AU force to replace Ethiopian troops dimming, it seems that the window of opportunity opened in early 2007 has virtually closed. The lack of a workable political or security plan is leading events to spiral toward greater violence with the potential that conflict will spread further. I am of the opinion that Washington still has a golden opportunity to help restore peace and order in Somalia and re-cultivate a relationship based on mutual respect and indeed interest without sending American soldiers to Somalia. This golden opportunity does not exist because the TFG might be willing to hold a “reconciliation conference” in Mogadishu (when the said entity itself is a party to the conflict), but because the U.S. is the only stakeholder who has the necessary capacity and clout to bring both the TFG and the UIC to the negotiation table. It is the only actively involved external stakeholder whose strategic interest is directly dependent on the stability and the reconstitution of the Somali state. Both the timing and the environment are conducive to constructive engagement. All attempts to enforce peace through military might have proven a failure. The only opportunity remaining is through direct diplomatic engagement. Sadia Ali Aden and I agree on the interlinked imperatives to make the transitional government more inclusive and to find a mechanism to withdraw Ethiopian forces from Somalia. A robust UN peacekeeping force with a strong mandate could play a constructive role but the challenges in deploying the Africa Union force and the memories of the UNOSOM experience in the early 1990s make this an unlikely outcome. Furthermore, I remain more skeptical than Ms. Aden that Washington is likely to play the key role in sponsoring talks between the TFG and elements of the UIC. And so forth. By the way, the U.S. seems to be both the cause and the cure. Again. 21.05.2007: 2300 LT: Posn 07:08N - 054:36E, Somalia. An unidentified small craft followed a tanker at a distance of 7 miles. As the ship altered course and speed to increased distance between them, the small craft adjusted her course. The small craft followed the vessel for several hours before moving away. PRC forwarded the masters message to coalition forces to render necessary assistance. 20.05.2007: 0330 LT: Posn 02:55N-046:04E, 300 NM from coast, Kenya. 19.05.2007: 1205 LT: Enroute from Merka to Kismayo, Somalia. Heavily armed pirates with machine guns opened fire on a general cargo ship. The ship sent a distress message, which was received by a passing ship and Merka port authority. The authorities sent two armed boats, which rescued the ship. One crew was injured. 26.04.2007: Spratly Islands, South China Sea. 1. 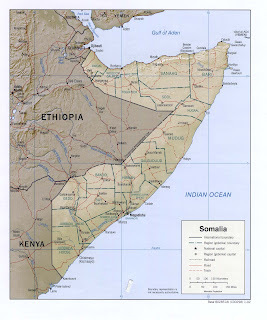 SOMALIA: Piracy resumes in international shipping lanes off the Central East Coast of Somalia as of 14 May 2007. Vessels report being fired upon approximately 190 NM off the Somali coast in the vicinity of 01:20N 049:00E by gunmen in small white speedboats armed with machine guns and rocket propelled grenades. Given the distance from shore these recent attacks have occurred and poor weather conditions typical for this time of year, ONI assesses pirates are likely utilizing a larger merchant vessel as a mother-ship to launch their small-boat attacks. The International Maritime Bureau (IMB) has increased their recommended transit distance from 75 NM to 200 NM for vessels not calling on Somali ports. ONI further advises vessels stay at least 50 NM away from the position 01:02N 048:10E until the mother-ship threat can be evaluated. (IMB, ONI). Much more in the message, including a case of confusion. "will --- Allah willing --- experience things which will make you forget all about the horrors of September 11th, Afghanistan, Iraq and Virginia Tech." Headline: "Navy Installs First Onboard Ship Protection System to Thwart Terrorist Attacks"
The SPS is modular, expandable, and allows installation and operation on multiple ship classes and platforms with no increase in manning requirements. When SPS reaches low-rate initial production — or “milestone C” — in fiscal year 2009, it will consist of an integrated package of five major components. • Two command and control consoles, one in the ship’s combat information center and another on the bridge, will display surveillance, environmental, and tactical information required by the commander, onboard watch officer, or other AT/FP decision-maker. • Electro-optical/infrared (EO/IR) ball devices and other sensor systems will provide integrated surveillance, detection, and tracking capabilities against a full range of asymmetric threats. • Non-lethal effectors consisting of acoustic hailing devices and search lights or dazzlers may deter a potential aggressor. Hailing devices emit high-decibel sound as a warning. Dazzlers or search lights project very bright, concentrated light to discourage the approach of a swimmer, small boat, vehicle or assailant. • Lethal effectors will be available for quick deployment when the aggressor ignores the non-lethal effectors. 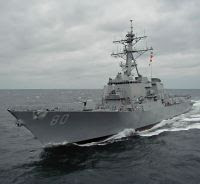 The lethal effectors (small-caliber guns on stabilized gun mounts) will be scaled to an asymmetric threat environment to avoid unnecessary collateral damage from firing the ship’s big guns in a “close-in” or high-traffic area such as a port. Must be a "normal" project (see here for what can happen if you try to push the string)- the Cole was attacked nearly 7 years ago. Will this replace an alert watch with good eye-balls and a dose of common sense? UPDATE: Some background on the SPS here and perhaps on a contractor here. And some background on "Force Protection Afloat" in a pdf format from PEO LMW PMS-480 here. Photo of SPS console is from that pdf. UPDATE2: Will SPS protect against this? From the Roger Corman "comedy" Creature from the Haunted Sea. Coming soon to a cult film showing near you. UPDATE#: And is this guy related to the Creature? Eventually, NCIS investigated its own contract. NCIS officials said the GSA had "responsibility for ensuring that contracts are properly awarded and executed." An NCIS spokesman declined to elaborate or discuss the allegations, saying "there is a joint, ongoing criminal investigation into this matter." 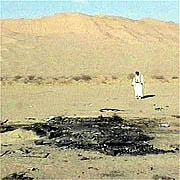 Working under intense pressure, Condon earned his money by traveling the world on the project's behalf, Krieger said. Condon spent his own money on the project and is owed more than $200,000 by the government. "This was a crash program to get this thing in place," Krieger said. "This was a fire drill when this was happening. The chief of naval operations said, 'This is never going to happen again.' "
Looks like this is spread over a couple of administrations. However, the idea of paying a company to manage a project is not unusual- it's exactly what a general contractor does in a construction job- hiring and managing subcontractors to do much, if not all of the actual work. I'm sure someone can assert that the GC is getting his money for "nothing" since building framing is being handled by one company and concrete pouring by another. I'm sure the Washington Post must have, on occasion, used such general contractors itself. If the scandal is that it may have cost more and not every "i" was dotted or "t" crossed, then let the investigation roll on. If the barriers don't work or won't stop a small terrorist boat, then that's another issue. But if the goal was to get something in place as soon as possible, and that was done, then sometimes a little more expense might be justified. And having circumvented a few "red tape rules" shouldn't be that big a deal. Maybe the real story ought to be that the Navy didn't have such barrier systems in place before the Cole attack. You know, fully vetted and contracted up to GSA standards in anticipation of the possibility of such an attack. And not that the moored, sensor laden system described in the article would have done the Cole much good anyway, off in a foreign port for a short fuel stop. U.S. Congressman Gene Taylor, Chairman of the Seapower and Expeditionary Forces Subcommittee, informed the United States Navy that he will hold a hearing to investigate alleged problems and potential wrongdoing in the procurement of Navy boat barriers. "Today's front-page Washington Post story suggesting widespread waste, disregard of federal procurement rules and possible wrongdoing in the Navy's purchase of ship force protection barriers presents a shocking picture of abuse," said Taylor. 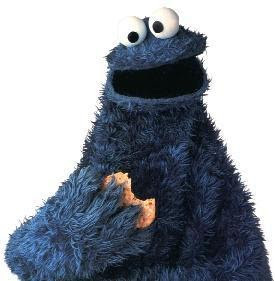 "This demands greater Congressional oversight." Mr. Taylor is a Democrat from Mississippi with experience in the Coast Guard Reserve. UPDATE: Some info on inflatable anti-boat barriers from Dunlop here. Photo is from that site. Other barriers identified here, here and here. A more complete description of Whisprwave system here. Orange and white photo from that site. The convention, to be known as the Nairobi International Convention on the Removal of Wrecks, 2007, was passed in Nairobi recently during the United Nation’s International Maritime Organisation conference — the first to be held outside London. Once in force, the Nairobi Convention will fill a gap in international law pertaining to safety and security at sea and prevention of marine pollution. 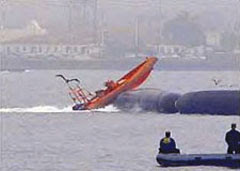 Wreck removal arises when vessel or debris has no significant value and has therefore been abandoned. Historically, marine salvage focused on the protection of private property including the recovery of the damaged vessel and rescue of the cargo or vessel contents. In recent years, however, heightened ecological concerns and increasing financial liabilities regarding marine pollution have changed the role of the salvor, and protection of the environment is now often the goal of the salvage operation. Mrs Karigithu said, “The convention now provides a legal basis for countries such as Kenya to remove, or have removed, from their exclusive economic zones and territorial waters, wrecks that may pose a hazard to navigation or, because of the nature of their cargo, to the marine and coastal environments, or to both.” The law will also make ship owners financially liable and require them to take out insurance or provide other financial security to cover the costs of wreck removal and provide states with a right of direct action against the insurers of such vessels. Training Air Wing (TRAWING) 5 established a third advanced helicopter training command, Helicopter Training Squadron (HT) 28 "Hellions" in a ceremony May 25, at Naval Air Station Whiting Field. The establishment of HT-28 will help to meet the growing demand for United States Navy and Marine Corps helicopter pilots while also training Coast Guard and international navy pilots. Due to a constant increase in the required number of winged helicopter pilots to the fleet, TRAWING 5’s two advanced training squadrons have had to graduate more students, increasing instructor flight time and reducing student/instructor contact time. The addition of HT-28 will help return the squadrons to a smaller state which will foster more familiarization between instructor pilots and students, enabling instructors to better personalize each sortie to the needs of the student and deliver appropriate training. In 2006, the two existing advanced helicopter training squadrons at Whiting Field completed over 70,000 flight hours and winged more than 500 Navy, Marine, Coast Guard and allied helicopter and tilt-rotor pilots: more than 40 percent of all naval aviators produced last year. The mission is expected to increase over the next several years. Info about the helicopter used in training here. A previous post on the "carrier" they practice with here. A belated referral to Maritime Monday 61 at Fred Fry International wherein Fred has some memories and much more. The original words were written as a hymn by a schoolmaster and clergyman of the Church of England, the Rev. William Whiting. Rev. Whiting (1825-1878) resided on the English coast near the sea and had once survived a furious storm in the Mediterranean. His experiences inspired him to pen the ode, "Eternal Father, Strong to Save." In the United States, in 1879 the late Rear Adm. Charles Jackson Train, an 1865 graduate of the United States Naval Academy at Annapolis was a lieutenant commander stationed at the Academy in charge of the Midshipman Choir. In that year, Lt. Comdr. Train inaugurated the present practice of concluding each Sunday's Divine Services at the Academy with the singing of the first verse of this hymn. From every peril on the land. In dark'ning storms or sunlight fair. 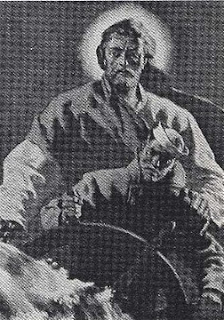 This version, together with the original first verse are the verses sung by the men and women of the Navy, particularly those in Naval Aviation. That No Greater Love has he, who would give up his life for another. UPDATE: The Merchant Marine Hymn found here. The U.S. Marine Corps is the United States' military band of brothers dedicated to warfighting. The proud Brotherhood of Marines is guided by principles, values, virtues, love of country, and its Warrior Culture. This brotherhood of American Patriots has no song. Instead, Marine Warriors have a hymn. When The Marines' Hymn is played, United States Marines stand at attention. They silently show their pride in their fellow Marines, their Corps, their Country, their heritage, and their hymn. The Marines' Hymn is a tribute to Warriors. Marine Warriors stormed fortress Derna, raised the American flag, and gave us "the shores of Tripoli." Marines fought their way into the castle at Chapultepec and gave us the "halls of Montezuma." Marines exist for the purpose of warfighting. Fighting is their role in life. They "fight for right and freedom" and "to keep our honor clean." They fight "in the air, on land, and sea." The Marine Corps is Valhalla for Warriors. U.S. Marines need no song. They have a hymn. Yes, I know that this was posted before Sunday. Gotta go out of town and won't be posting any more this weekend. 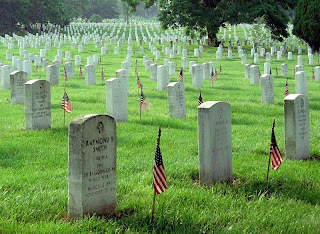 On May 28, we -- as a nation -- will pause to remember a group of Americans to whom we owe every freedom we enjoy. The strength of our nation has been built on the sacrifices made by the men and women who lost their lives protecting it. This weekend you’ll have the opportunity to remember those who gave their lives in the name of freedom. How you choose to spend this time is a personal choice only you can make. It is my hope that at some point over the next few days you’ll take a moment to consider those sacrifices and what they’ve meant to this country. Remember our loved ones in the jungles of Vietnam, who fought a war thousands of miles away while their fellow Americans debated it at home. They fought an enemy emboldened by our country’s discord, and they fought for one another. Remember a generation of Americans that is unfortunately dwindling by the day. Our World War II veterans rode a groundswell of anger after Pearl Harbor. They flooded the recruiting offices and defended this nation with a will and resolve that we still owe them for to this day. Thousands of them never came home from the Far East, France or Great Britain. Many were lost while serving on or beneath the sea. Those who lived led this country for 60 years after the war, but their numbers are diminishing. Remember them this weekend. Think back to the day immediately following 9/11 and the thousands of young Americans who, like their grandparents, joined the military to defend this nation against an enemy who attacked us because we are a country that embraces freedom. We’ve lost many of them too, in Iraq and Afghanistan. Remember them as you do our veterans of Korea, World War I, II and Vietnam. This weekend is a time we’ve traditionally set aside to honor the sacrifices of those who died in service of our nation. Memorializing them goes to the core of who we are as Americans and as Sailors. Our thoughts should be with them every day, and I hope yours are. And, if not every day, then certainly this Monday. Stay safe this weekend. Enjoy your families, and never forget the men and women who took an oath to defend this nation, then made the ultimate sacrifice upholding freedom and democracy. All who have died in the service of this country have not died in combat. As noted on prior Memorial Days (here and here), the profession of arms is one of daily risk. A ruptured steam pipe, some yet unknown factor while flying, some poorly designed equipment, a moment of carelessness - life ends for some young man or woman - even in the supposed safety of a homeport or during an exercise. Those who serve are not immune to the perils of daily life -car accidents, accidental drownings, and on and on. For your reading pleasure: SJS lays out the AOB before Miday in Flightdeck Friday: Countdown to Midway - IJN Carrier-based Air Order of Battle (AOB). And Salamander goes to the "way back" file for Fullbore Friday for "The Battle of Artemisium." Pirates captured an Indian dhow close to the Somali capital Mogadishu, a Kenyan maritime official said on Friday, in the latest raid off one of the world's most dangerous coastlines. Andrew Mwangura, director of the East African Seafarers Assistance Programme, said he had no information about the crew or cargo aboard the vessel, the Al Haqeeq. "The only information we have is that she was seized outside the port of Mogadishu. It's an Indian dhow," Mwangura told Reuters by phone. Two Britons were among six oil workers kidnapped from a pipe-laying vessel off Nigeria's coast. The rest of the group was made up of three Americans and a South African, industry sources said. Shots were fired during the abduction by suspected militants in two speed boats off the coast of the southern state of Bayelsa. It came a day after gunmen kidnapped a Polish engineer near the oil city of Warri, which took the number of foreign workers being held by armed groups in the delta to 16. Abductions for ransom or to press political demands are frequent in the impoverished Niger Delta, home to Africa's biggest oil industry. Oil production from Nigeria, the world's eighth biggest exporter, is down by about 700,000 barrels per day or almost a quarter because of an 18-month surge in violence. The militants are demanding regional control over oil revenues, compensation for oil spills and freedom for two jailed leaders from the region. About 100 foreigners have been kidnapped this year and released unharmed after their employers paid ransoms. In the post-September 11 era, the officers in the New York Police Department's scuba unit have gotten used to working double time during Fleet Week, when Navy ships and the piers at which they dock have become potential targets for a terrorist attack. But thanks to a new seafaring robot, the task of checking for underwater bombs has become much easier this year. Previously, Fleet Week meant that the elite unit of NYPD divers had to take a break from their usual search and rescue duties to give the hulls of all large vessels visiting New York Harbor, including cruise ships, a thorough going-over. In an arduous, dangerous, and rather mucky process, they searched by hand for explosives, contraband, and other suspicious devices attached to the bottoms of ships and pier pilings. Now, four submarine robots, bought in January at a cost of more than $27,000 each with a federal counterterrorism grant, can do much of the work for them. Police officials say they are particularly concerned about high-profile ships, such as the Queen Mary 2, currently docked in Brooklyn. Along with the Navy ships, the scuba unit performed a check on that ship this week, as well as on all of the tugboats and sewage barges that service it. 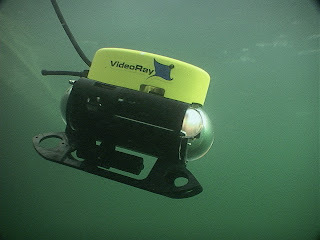 Images of ROV from VideoRay. "Let’s do it; let’s Impeach Bush"
Yeah, if your best case is that made by an idiot on the View, bring it on! Let's get Rosie to testify, too. I volunteer to handle her cross examination. Things that make you go, "Hmmm." Followed by: "The Marines fly jets?" The older son is a Navy pilot. 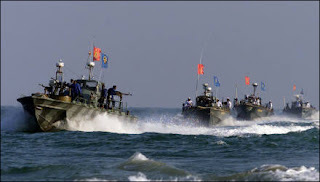 Tamil Tiger rebels say they have killed 35 Sri Lankan sailors in a sea attack on a navy base on the Jaffna peninsula in the north of the country. A rebel spokesman said they overran the base on the island of Delft and the fighting lasted only 20 minutes. Confirming the attack, a navy spokesman said the rebel claims were exaggerated and fewer than 10 sailors were killed. The Ogaden War of 1977-78 between Somalia and Ethiopia and the consequent refugee influx forced Somalia to depend for its economic survival on humanitarian handouts. And now, the UN wants someone -anyone- to come to the rescue of struggling Somalis again. Aid ships have been attacked and are now refusing to sail without protection - see here. The UN has suspended food shipments, by ship, to Somalia, in an effort to force the U.S. Navy to take action against the pirates. The UN hasn't come right out and demanded that American warships intervene, but the Americans are the only ones with the capabilities and will. Some other European navies have warships in the area, but they are even less likely to get involved. The media would be all over any operations against the pirates, and the sailors risk getting accused of killing innocent civilians. Most nations are risk averse when it comes to Somalia, thus the safest thing to do is nothing, and be quiet about it as well. So, thousands of people have their lives at risk because of the threat of a handful of kidnapping thugs who eek out an existence through collecting ransom from shipowners, fear of adverse media and the fact that no one really wants to get stuck in Somalia. Somalia is just too hard to help. UPDATE: Re the Ogaden War and here. The North Atlantic Treaty Organization (NATO) is to stage an anti-terrorist military demonstration on Wednesday in a naval base of Taranto, Italy. The event, under NATO's jargon of "NAC-MC Sea Day," is to test the level of interoperationality between NATO naval forces and NATO's capacity of fighting international terrorism in the Mediterranean Sea. The event will be conducted in Italian exercise areas within the Gulf of Taranto. The leaders will embark in Flag Ship USS Roosevelt to watch the show of various military operations. Lieutenant Babis Bozoutsidis, a press officer for the event, told Xinhua that the military demonstration will include anti- submarine operations, air-defense exercises and inspection of suspect vessels. Does NATO know more than they're telling? And the USS Roosevelt in question is probably not the carrier Theodore, which was last seen in Norfolk "undergoing a Docked Planned Incremental Availability in Norfolk Naval Shipyard." More likely USS Roosevelt(DDG 80). The Navy is disappointed with EarthJustice's decision to pursue litigation against critical training activities in Hawaiian waters, the deputy commander of the U.S. Pacific Fleet said. "These fleet training activities are essential to the Navy's ability to ensure our nation's armed forces are fully combat ready and adequately trained according to established, time-tested standards," said Rear Adm. John M. Bird. The suit, filed May 16 by EarthJustice on behalf of five non-government organizations, asks the court to prohibit naval sonar exercises near Hawaii, saying that sonar can have a negative impact on marine mammals. But such exercises have already taken place in Hawaiian waters with no problems. "Since January the Navy has conducted two undersea warfare exercises, incorporating mid-frequency active sonar, with no issues," said Capt. Scott Gureck, Pacific Fleet public affairs officer. "We take steps to identify and avoid marine mammals during training, and we are complying with all laws that protect marine mammals throughout the Hawaiian Islands- the Marine Mammal Protection Act and the Endangered Species Act." As part of the process of protecting marine mammals that inhabit Hawaiiís waters, the Navy coordinated closely with the National Marine Fisheries Service to identify the mitigation measures in place during these exercises, Gureck noted. The Navy complies with all applicable statutes, regulations and executive orders and strives to protect the environment, prevent pollution and protect natural, historic and cultural resources. Navy policy requires that major fleet exercises be reviewed for environmental compliance and for potential effect on marine mammals and other marine life. Conservation and animal welfare organizations have filed a legal challenge to the U.S. Navy's plan to use high-intensity, mid-frequency active sonar in antisubmarine exercises in Hawai'i's waters. The planned sonar would emit blasts far louder than levels associated with mass whale strandings and fatalities. The Navy has announced plans to use the sonar in up to twelve separate sets of Undersea Warfare Exercises (USWEXs) during 2007 and 2008 in Hawai'i's waters, including within the Hawaiian Islands Humpback Whale National Marine Sanctuary and near the Papahānaumokuākea Marine National Monument in the Northwestern Hawaiian Islands. Attorneys from Earthjustice filed suit in Hawai'i federal district court on behalf of Ocean Mammal Institute, the Animal Welfare Institute, KAHEA, Center for Biological Diversity, and Surfrider Foundation. Marti Townsend of KAHEA said, "The Navy is not above the law. Just the reverse -- as a government agency, the Navy should be setting an example. Protecting the country includes following its laws, not skirting them." NMFS, the agency responsible for protecting endangered marine life, relying almost entirely on the Navy's assessments, made little effort to analyze the sonar's effects or require the Navy to implement protective mitigation, such as that to which the Navy agreed for the 2006 RIMPAC exercises in Hawai'i. The plaintiffs have sued NMFS as well, for violating the Endangered Species Act. The Animal Welfare Institute's Susan Millward commented, "It's disappointing that NMFS abdicated its responsibilities by allowing the Navy to decide for itself the mitigation it will use." Dr. Marsha Green of Ocean Mammal Institute added, "The Navy knows protecting whales is possible -- it used more protective mitigation in the 2006 RIMPAC exercises than it plans to use in these." The Navy acknowledged in its Environmental Assessment for the Hawai'i exercises that its sonar will reach whales at levels up to 215 dB—at least a hundred thousand times more intense than the levels at which the whales stranded in the Bahamas incident—and that the sonar will, at a minimum, likely significantly alter or cause the abandonment of the whales' migration, surfacing, nursing, feeding, or sheltering behaviors. Recognizing it will harm whales in violation of the Marine Mammal Protection Act, the Navy in January 2007 exempted itself from that law. The Navy nonetheless refused to prepare an Environmental Impact Statement in violation of the National Environmental Policy Act, refused to include protective mitigation, and dismissed as insignificant the impacts to thousands of marine mammals, including humpbacks nursing calves in Hawai'i's protected nearshore waters. It also failed to comply with the Coastal Zone Management Act and National Marine Sanctuaries Act. Lawsuit demanding that corporate interests be balanced with public interest representation on committees that advise the US Trade Representative on trade policies affecting public health. Suit to force the US Department of Energy to conduct a thorough environmental assessment before authorizing operation of power plants owned by US corporations and constructed in Mexico to supply power to the US energy market. Earthjustice is working with the Inuit Circumpolar Conference to protect the human rights of the Inuit people in their struggle against climate change. The American military is trying to force the Japanese government to build a new airbase on a reef used by endangered dugong (cousin to the Florida manatee) for feeding and resting. Earthjustice is involved in an effort to persuade the United Nations that the right to a safe, healthy, and healthful environment is a basic human right and, as such, is protected by various existing human rights agreements and conventions. Considerable progress has been made. The people (especially the children) who live in La Oroya, in the Peruvian Andes, have dangerous levels of lead in their blood. The source is a smelter operated by a company based in Missouri. Earthjustice is working to persuade the company to provide desperately needed medical care. MTBE is a gasoline additive that has contaminated groundwater, provoking a decision by California to phase out its use. The manufacturer in turn sued the United States, demanding nearly a billion dollars to compensate for lost profits. Earthjustice has intervened to block the blackmail. Widespread aerial spraying of herbicides in Colombia by the US is eradicating coca and poppy crops but is also destroying rural communities through harm to human health and livestock, destruction of food crops and water contamination. The US Trade Representative is negotiating several trade agreements and refuses to reveal any details to the public, even though the documents have been freely circulated to the governments participating in the negotiations. Earthjustice has filed suit to force release of the documents. There are dozens of obsolete, decaying military ships awaiting disposal. The administration, skirting federal law, tried to send 13 to England for dismantling. A lawsuit blocked nine. Four sit in limbo in England. Transport is dangerous and U.S. shipyards can do the job. The court will decide the fate of the rest. No litigation seems to have been brought against China, Russia, South Korea, India, Pakistan, Iran, Japan, Germany, France, or any other country or company located outside the U.S.
EJ's offices are located solely in the US. See here. Earthjustice was established as the Sierra Club Legal Defense Fund in 1971. While we have always worked closely with the Sierra Club, from the outset the Legal Defense Fund has been a separate organization with its own staff, Board of Trustees, and donors. In 1997, we changed our name to Earthjustice to reflect the broader role we play in representing hundreds of regional, national and international associations. We have always provided our legal services free of charge. (4) The court, in issuing any final order in any suit brought pursuant to paragraph (1) of this subsection, may award costs of litigation (including reasonable attorney and expert witness fees) to any party, whenever the court determines such award is appropriate. Pretty nifty. Sue the government, attempt to make policy through the courts instead of the legislature, collect money from the government for subverting the democratic process. Litigation is the basic tool Earthjustice uses, depending on strong state and federal laws. Often, however, attempts are made to weaken - even destroy - those laws and their implementing regulations. Earthjustice's Policy and Legislation staff work to defend and strengthen those laws and regulations. In my experience, such fees are usually established by some "expert" testifying about the local prevailing legal fees and the risks attendant in pursuing such a claim and stating: "It is my opinion that $250 an hour would be a reasonable attorney's fee in such a matter." Followed by evidence that 2000 hours was spent bringing this matter to trial. 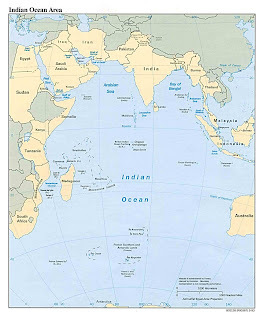 My fellow passengers and I have also witnessed recent signs that, as the rise of India and China continues, the Indian Ocean will soon match the Pacific in geostrategic importance. In Kochi, our cruise liner passed an impressive grey flotilla of destroyers and frigates at the Indian navy's southern command base. In Mumbai, we moored near one of India's two operational aircraft carriers (a third is on the way) - reminders of the country's growing focus on security in the ocean that carries its name. And no patch of this ocean's 73.5 million sq km of water will be more important than the SLOC we are passing through. More than 50 oil tankers navigate these latitudes daily; by 2020, up to 200 are expected daily, carrying some 80 per cent of the Asia-Pacific's energy consumption from the Middle East. Ahead of this, China and India are scrambling for advantage around the ocean's rim. On this lazy morning on board, to our north-east, China is building military and perhaps naval links with Bangladesh and Myanmar. The author says "chess" - I'm thinking "Risk." Click on the map to make it bigger. The bodies of two Japanese sailors who attacked Sydney harbour during World War II are to be left in their wrecked submarine, Australian officials say. Katsuhisa Ban and Mamoru Ashibe crewed one of three mini-submarines that infiltrated the harbour in May 1942. 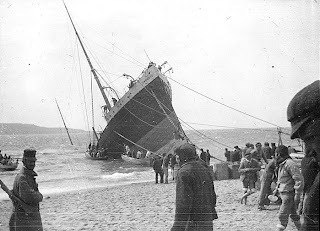 They torpedoed a ship, killing 21 sailors, before vanishing amid heavy fire. Divers found the wreck last year. Australian officials will present a jar of sand from the site of the wreck to the families of the two men. The government has also declared the location of the mini-submarine, 50km (31 miles) off the coast, a historic site. The attack was part of an operation aimed at disrupting US and Australian shipping at the height of the war. Three mini-submarines evaded protective nets stretched across the entrance to Sydney harbour and tried to sink the American battle cruiser USS Chicago. They failed to do this, but one of their torpedoes hit the Australian naval vessel HMAS Kuttabul. Nineteen Australian sailors and two Britons were killed. Two of the submarines were damaged during the attack, and then scuttled by their crews. But the third remained unaccounted for until amateur divers found it on the ocean floor in November last year. Salvaging the vessel has been ruled out on grounds of cost and difficulty, but Environment Minister Malcolm Turnbull said that the government would look after the wreck. "We are committed to ensuring this internationally significant wreck is protected and treated with honour and respect," he said. More on the attack on Sydney here. 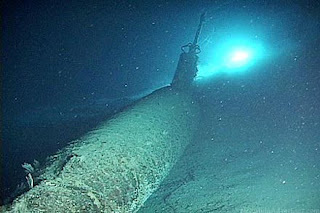 Photo is of a Japanese mini sub found off Pearl Harbor. A category 4 or 5 hurricane could paralyze the shipping industry. That would cause a major impact to Hawaii's economy as the majority of our food and other supplies come by sea. But a local company says it has plans for a worst-case scenario. Matson Navigation Company is the biggest shipping company in Hawaii. "Roughly through our gates on a busy day, we'll move about 1,200 containers," said Dale Hazlehurst, a marine operations manager for the company. That translates to about a million containers a year. After 125 years in the business, Matson has shipping down to a science. "So we plan everything in great detail, right down to where we put our container on a ship," said Hazlehurst. In an industry that depends on good ocean conditions, a category 4 hurricane on Oahu's west shores could cripple the shipping industry. But if that happens, Matson has a contingency plan. Ships like this will go out to sea and a crisis team will spring into action. "Tomorrow there might be a terrorist event or a tsunami," said Hazlehurst. "We've had several tsunami warnings already this year. So we need to be prepared and people need to know their place in the structure if something like this occurs." Staying prepared for nature's unpredictable ways. The U.S. Navy also has a contingency plan. In fact, it just completed its annual hurricane exercise, simulating response to a category 4 hurricane. Its builders assured the public that the Titanic was unsinkable. Just saying. America has a proud maritime history, and the United States Merchant Marine has played a vital role in helping meet our country's economic and national security needs. On National Maritime Day, we honor merchant mariners for their dedication to promoting commerce and protecting our freedom. 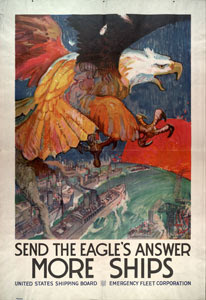 During times of peace, the U.S. Merchant Marine helps ensure our economic security by keeping the oceans open to trade. Ships operated by merchant mariners transport goods across our Nation's waterways and on the high seas around the world to connect American businesses and consumers with valuable foreign markets and commodities. The skill and expertise of merchant mariners facilitates trade and helps to strengthen our economy. 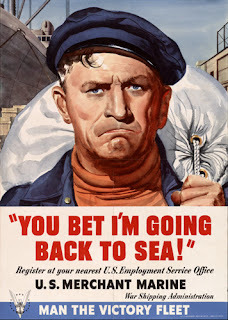 In times of war, the Merchant Marine is the lifeline of our troops overseas. By carrying critical supplies, equipment, and personnel, merchant mariners provide essential support to our Armed Forces and help advance the cause of freedom. Today, merchant mariners are supporting operations in Afghanistan and Iraq, and their devotion to duty is a tribute to the generations of men and women who have served our Nation with courage and determination in every conflict in America's history. On this day, and throughout the year, America is grateful for their service. NOW, THEREFORE, I, GEORGE W. BUSH, President of the United States of America, do hereby proclaim May 22, 2007, as National Maritime Day. I call upon the people of the United States to mark this observance by honoring the service of merchant mariners and by displaying the flag of the United States at their homes and in their communities. I also request that all ships sailing under the American flag dress ship on that day. IN WITNESS WHEREOF, I have hereunto set my hand this eighteenth day of May, in the year of our Lord two thousand seven, and of the Independence of the United States of America the two hundred and thirty-first. UPDATE: 2007 info from MARAD here. India concerned about "terrorism from seas"
Terming the threat of terrorism from the seas as worrisome, Defence Minister A K Antony today said plans were afoot to boost up real time surveillance along the coastline by installing new sensors, radars and moving air assets into the area. "The threat from terrorism from seas is proving a real difficult area for the security forces," Antony said at the sidelines of a function to mark the Silver Jubilee of the Coastguard Aviation Wing here. His comments come as the seas around India off Sri Lankan coast as well as in Malacca Straits are witnessing renewed clandestine operations by terrorist groups and sea-pirates. 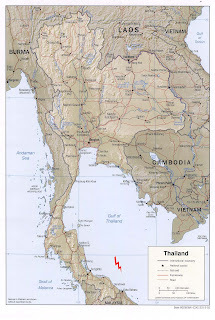 "We have been able to contain infiltration through land borders and they are becoming tension-free, but our coastline is turning out to be a real difficult area for us," the Defence Minister said in his address to the coastguard commanders. He told them that "hard vigil" had to be maintained to ward off such threats in the high seas as well as nearer the country's coastline. A ship carrying tons of U.N. humanitarian aid for this impoverished nation refused to leave Kenya on Monday because of rampant piracy off Somalia’s coast, as the U.S. Navy warned vessels to stay clear of the lawless waters where everyone from aid workers to fishermen have become targets. The U.N. World Food Program has appealed for high-level international action to secure the waters off the coast, saying piracy is threatening aid deliveries to a country trying to recover from the worst fighting in more than a decade. The ship had been scheduled to sail to Somalia on Sunday with 850 tons of food. But the shipping agency contracted by WFP has demanded the Kenyan government provide security for travel into Somali waters. On Saturday, pirates launched a failed hijack attempt on a WFP boat, killing a Somali guard. “We need some sort of security to ply into Somali waters ... because they (Somali pirates) are everywhere. Now they are ashore, very far off into the sea. 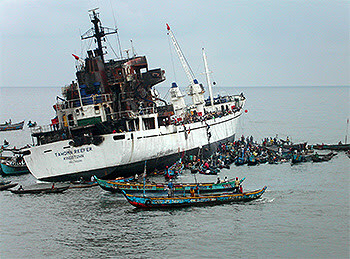 It is becoming too much,” Inayet Kudrati of Motaku Shipping Agency said Monday. The Maritime Safety Administration of China (MSAC) has warned Chinese ships to be vigilant against piracy in Somali waters. The MSAC issued an urgent circular on Tuesday instructing Chinese ship-owners, shipping companies and captains to be on high alert for piracy and adopt necessary measures according to relevant procedures issued by the International Maritime Organization and the MSAC's advisory. The MSAC urged Chinese crews to monitor information on pirate activities in Somali waters and be vigilant when passing through those areas. Shipping companies should report to the China Maritime Search and Rescue Center immediately on learning of pirate attacks. It also advised captains to avoid Somali waters if possible. 50 NM away from the position 01:02N 048:10E until the mother-ship threat can be evaluated. suffering a fire in Aug 06 (AP, LM: Shipping Times). off the coast. Gunmen boarded and seized a British oil worker from the (TRIDENT 8) rig. non-live threatening injuries during the attack and were treated onsite (Agencies). 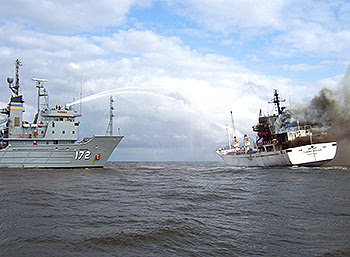 the starboard bow and then moved away (IMB). authorities planned to receive them at the state government headquarters (AP, IMB). and killed a Nigerian government security member in an attack on the Chevron Nigeria Ltd.
to avoid any additional security or safety incidents (Chevron, AP, LM). 8. NIGERIA: Security vessel (MIKE ONE) attacked 19 Apr in the evening, Delta Region. as seizing weapons and equipment. Another six people were injured and airlifted out of the area. on the vessel appeared to be criminal rather than politically motivated (REUTERS). A broken-down cargo ship stolen by machete-wielding pirates off Liberia earlier this month is still missing despite a search involving neighbouring Ivory Coast's navy and a UN helicopter, officials said on Monday. Attackers armed with cutlasses and sticks boarded the 67-metre MV Tahoma Reefer while it was docked off Monrovia on May 8, beat up the crew then returned to tow the vessel away while they sought medical care on shore. "Right now the ship is lost," the vessel's captain, Volodymr Shteynberh, told Reuters by phone from Monrovia, criticising a lack of co-ordination between the local authorities and the UN peacekeeping missions in Liberia and Ivory Coast. Security experts are concerned the boat could be used by people traffickers offering Africans illegal passage to Europe or by drug smuggling gangs. West Africa's Atlantic coast is increasingly a transit route to Europe for Colombian cocaine. Shteynberh, who was on board when the pirates attacked, said their motive was unclear but said the vessel was carrying some 200 tonnes of heavy fuel, worth around $200 000 at local prices. The UN mission in Liberia (UNMIL), helping to restore order after an on-off 1989-2003 civil war, sent a helicopter to look for it as soon as it was reported missing on May 11. "The vessel was spotted being towed by two smaller boats towards Ivory Coast. UNMIL, which is not equipped with the maritime capability to intercept vessels at sea, immediately alerted the Liberian authorities," it said. The crew of MSC’s ocean tug USNS Apache rescued eight crewmembers and extinguished a blaze on commercial vessel Tahoma Reefer August 9 after the Estonian freighter was towed about a nautical mile out to sea by the port tug. The fire started while the vessel was in the harbor of the Liberian port city of Monrovia. The fire, which started in the engine room of the 220-foot vessel, quickly engulfed and destroyed the deckhouse. After the fire was extinguished, the ship was quickly surrounded by local fishing boats and native dugouts with occupants eager to remove the shipment of frozen fish that filled both Tahoma Reefer’s holds. Murdoc has some more pictures of the fire fighting here. Initial report of capture by pirates here. I should note, for the record, that the incident is not one of sea piracy, which requires that the capture of the ship occur on the "high seas." It's more like "Grand Theft Ship." A spectacular fire early Monday heavily damaged the clipper ship Cutty Sark, one of London's proudest relics of the 19th century tea trade with China designed to be the fastest ship of its day. The London Fire Brigade and the Forensic Science Service said they were investigating the cause of the blaze, and police said they had no immediate evidence of arson. The fire, which broke out in a dry dock where the ship was undergoing restoration, will add millions to the cost of refurbishing it. It time for Fred Fry International: Maritime Monday 60. This week Fred holds a "cattle call" on a some livestock carriers and a whole bunch more links to "mooving" stories. THE average price of gasoline in the United States set a record last week — $3.10 a gallon, according to the Energy Information Administration — up a nickel from the week before and 15 cents from a year ago. Like night follows day, politicians in Washington immediately vented their outrage. It goes without saying that gasoline retailers and oil companies will seek to maximize their profit, which usually means charging the highest price markets can bear. But is that price gouging? Because the demand for gasoline is what economists call inelastic, which means that people cannot quickly reduce their consumption when prices rise sharply, abrupt supply shortages lead to steep price increases without any immediate decline in sales. The most common reason for such increases in gasoline prices is a steep increase in the price of crude oil. But crude oil prices are set in global markets, and even the biggest American or European oil companies are modest players compared with state-controlled oil companies in the Persian Gulf, Russia and Latin America. It seems hard to believe today, but world oil prices briefly drifted below $11 a barrel in 1998. Not surprisingly, few lawmakers in Congress took that opportunity to denounce “unconscionably excessive” price declines. The Federal Trade Commission has been skeptical about accusations of price-gouging on gasoline prices. 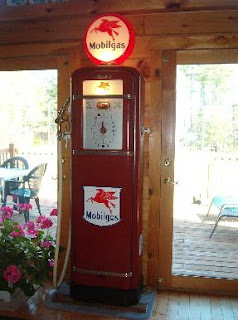 In 2004, the agency studied price changes in gasoline from 1991 through late 2003. It concluded that about 85 percent of the price variability — both up and down — reflected changes in crude oil prices. INDUSTRY executives say the anomaly reflects a temporary drop-off in refinery activity, partly because of scheduled maintenance and partly because of unscheduled interruptions. On top of that come ethanol prices, which have soared, because refiners now blend a small percentage of ethanol into standard gasoline. The broader issue is that refinery capacity has not kept up with American demand for gasoline. Oil companies, caught with vast amounts of excess refining capacity in the early 1980s, systematically reduced capacity during the long lean years when energy prices and profit margins were the pity of Wall Street. But Congress could face an entirely new quandary in its desire to expand the use of renewable fuels. President Bush has called for producing 35 billion gallons a year of alternative fuels — from cellulosic ethanol to coal-based diesel — by 2017. Congressional Democrats might be even more aggressive. If that’s the plan, will oil companies want to invest in more refineries? “You’ve got to ask whether the demand will be there,” Mr. Felmy said. A top Chevron Corp. executive said Tuesday the push to displace as much as a fifth of the country's gasoline with ethanol will make it less likely the industry will build new domestic refineries. Congress can help by making it easier to build refineries in this country. The United States has a serious supply-and-demand problem due in part to this nation’s insufficient refining capacity. Investors are reluctant to put their money into U.S. refineries due to a thicket of government regulations. Add the uncertainty that Congress could change the regulations after the refinery investments were made. Most refinery investments now are made in other countries. No new refineries have been built in the United States in more than 30 years. On Tuesday, the Senate Energy Committee was warned by oil analyst Paul Sankey that the lack of refining capacity in the United States leaves the nation’s 20-day gasoline inventory vulnerable to storms, accidents, equipment failures and foreign supply disruptions, according to a Cox News Service story by Marilyn Geewax. Sankey said Congress should be prepared for emergency measures, including tossing out environmental rules and drawing down strategic reserves. “The underlying problem is the U.S. petroleum industry’s infrastructure is just unable to cope with increasing demand,” he said. Congress also should investigate how it can help promote refinery construction in this country. That’s a start. Market forces, anyone? The Law of Unintended Consequences is being felt in the impact of prior governmental activity to "solve" the energy crises. U.S. refining capacity, as measured by daily processing capacity of crude oil distillation units alone, has appeared relatively stable in recent years, at about 16 million barrels per day of operable capacity (graph). While the level is a reduction from the capacity of twenty years ago, the first refineries that were shut down as demand fell in the early 1980's were those that had little downstream processing capability. Limited to simple distillation, these small facilities were only economically viable while receiving subsidies under the Federal price control system that ended in 1981. Some additional refineries were shut down in the late 1980's and during the 1990's, always, of course, those at the least profitable end of a company's asset portfolio. At the same time, refiners improved the efficiency of the crude oil distillation units that remained in service by "debottlenecking" to improve the flow and to match capacity among different units and by turning more and more to computer control of the processing. Furthermore, following government mandates for environmentally more benign products as well as commercial economics, refiners enhanced their upgrading (downstream processing) capacity. As a result, the capacity of the downstream units ceased to be the constraining factor on the amount of crude oil processed (or "run") through the crude oil distillation system. Thus crude oil inputs to refineries ("runs") have continued to rise, and along with them -- given the stability of crude oil distillation capacity -- capacity "utilization" rose throughout much of the 1990's (again, see graph). Utilization -- the share of capacity filled with crude oil -- reached truly record levels in the last half of the decade, nominally exceeding 100 percent for brief periods. In general, refining has been significantly less profitable than other industry segments during the 1990's, as shown in the accompanying graph. Gross refinery margins -- the difference between the cost of the input and the price of the output -- have been squeezed at the same time that operating costs and the need for additional investment to meet environmental mandates has grown, thus reducing the net margin even further. In addition, much of the investment made during the 1980's was designed to take advantage of the differential between the dwindling supply of higher quality crude oils and the growing supply of heavier and higher sulfur crudes. When that differential narrowed, however, the financial return on those investments declined. Refining margins peaked in the late 1980's. In short, in the past, when any new refinery capacity that might be needed today could have been started, there was no incentive for the refining companies to build them, because there was little or no profit in the industry. India reacts to Tamil Tiger "Flying Corps"
Nuclear shipping fleet gets new ship- with guns? NATO to guard oil facilities? Future U. S. Maritime Strategy?